1. We’ll start off this week with some zoning and land-use discussion. the village of Lansing, which tends to have a very tight grip on their zoning, modified their code for a new addition, called “Commercial Medium Traffic” (CMT). The zone, which has taken about two years to get to this point, will override what is currently zoned a Commercial Low Traffic (CLT) area. As a result of the rezoning, some previously-okayed uses in their CLT zone – clinics, group homes, construction storage, sit-down restaurants – have been removed, but adds cafeterias and assisted living facilities. Splitting hairs, one supposes. Looking at the use guidelines, about the only big use the CMT allows that CLT doesn’t is “small-scale sales” like boutique shops, and “low-traffic food and beverage”, which covers bars and sit-down restaurants. The reason for this change comes from a couple of angles – the village has a number of vacant or underutilized parcels in the affected area, which they feel is detracting. 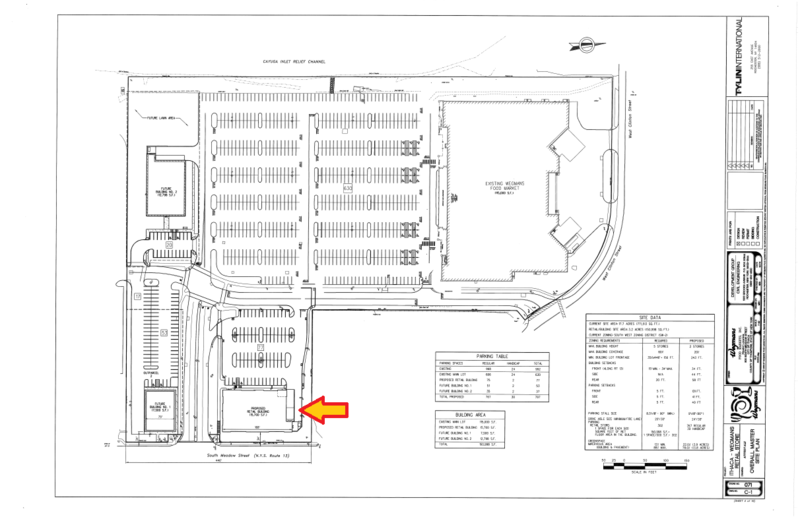 Developers have approached the board about building retail/restaurant space on some of the land, but that would have required rezoning to commercial high traffic. But the high traffic zone also allows “hotels and big boxes”, so the village needed an in-between. Now it’s finally in place. 2. Now for another land use debate. 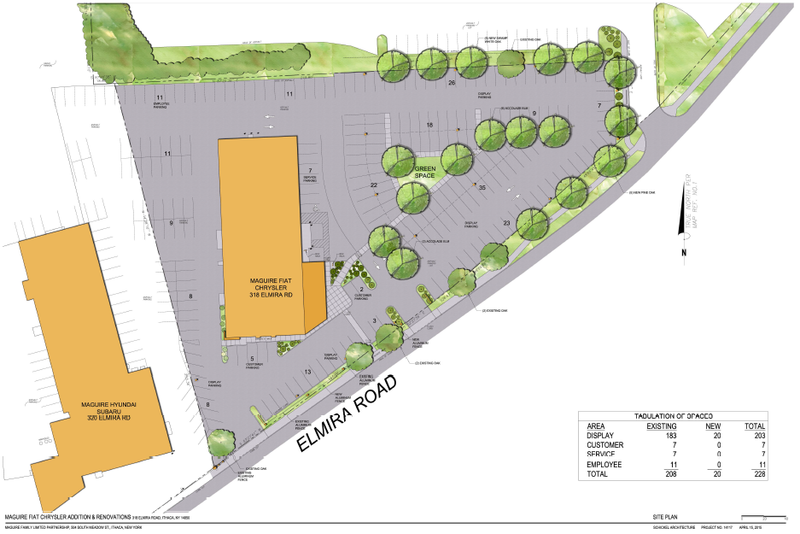 The town of Ithaca has authorized doing an analysis on what a fair bid would be for the development rights of 33 acres of land off of Seven Mile Drive and Route 13. These parcels are currently farmed by the Eddy family, and a mini-golf facility was previously proposed on one of the properties. Before that, they were to be included in the 2014 Maguire development before the Maguires pulled their project, partially because the town said the dealership and headquarters proposal wasn’t in line with their new Comprehensive Plan. The problem is, neither is this. The town would buy this with the intent on keeping all of it farm fields. 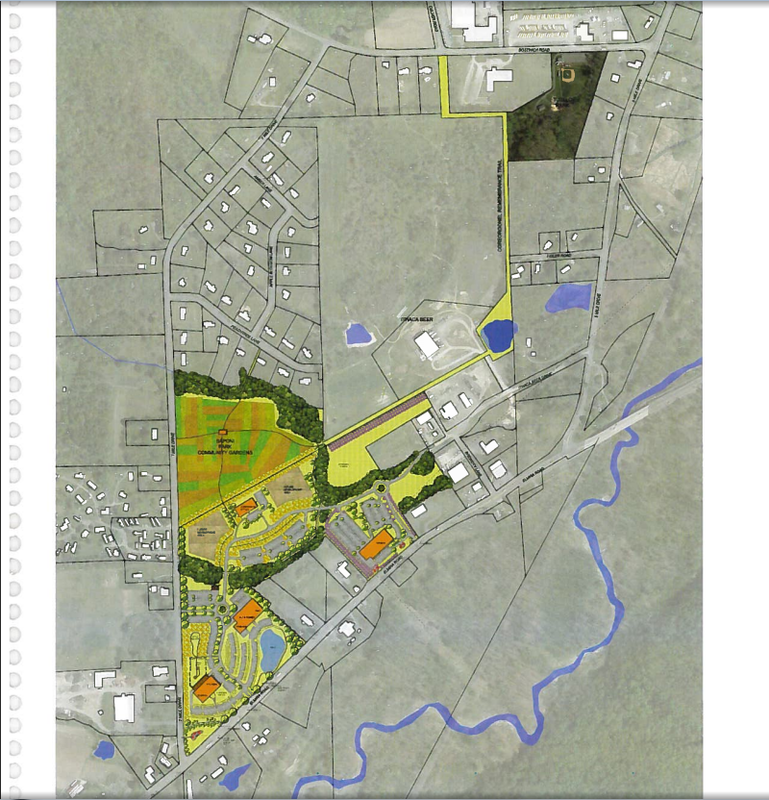 The comprehensive plan called for TND Medium Residential (townhouses, elder cottages, small apartment buildings and compact single family) and the “Inlet Valley Gateway” (quoting the plan, “intended to be a setting for a mix of office, small-scale retail, hospitality, and tourism and agritourism uses, with low-impact light industrial, artisanal industrial, and skilled trade uses”). The concern is, if the town starts displacing development from the areas recommended, developers will start looking at areas where it’s not recommended. For the record, the 22.38 acre parcel is for sale for $425,000, and the 10.59 acre parcel is for sale at $325,000. The assessed value is only $188,800 total. The development rights will probably fall somewhere between. This definitely isn’t as cut-and-dry as the 62 acres the town picked up for $160k in December. The town will have an idea of the cost for the rights later this year. 3. A few notes from this week’s TCIDA agenda. 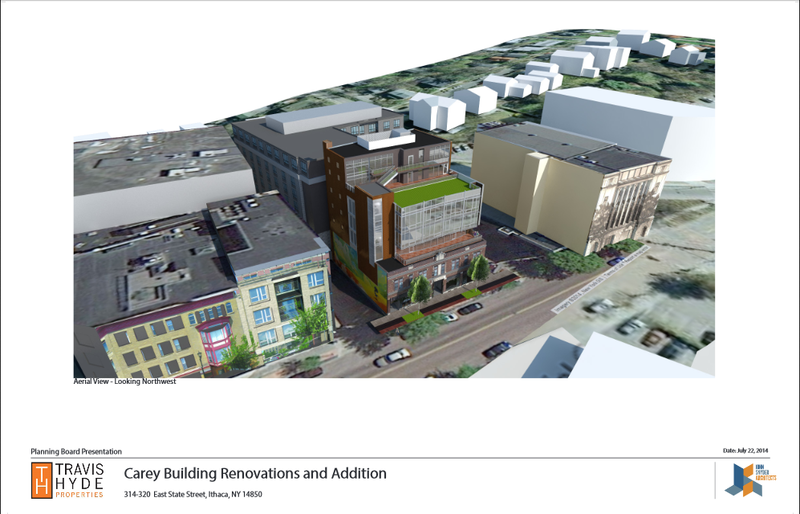 The Hotel Ithaca project is up for final approval of its tax abatement, which given that the public meeting drew not a single commenter, shouldn’t have any issues going forward. 210 Hancock also has some slight tweaks to its agreement, and Simeon’s is applying for a sales tax exemption on construction materials and refurbishment. The $660,000 project’s exemption would be worth $27,079 by their calculation. Simeon’s estimates 27 jobs at opening, and 14 new positions over 3 years, about half of which appear to be living wage. The tax exemption amount is small enough that it seems like a non-issue, but we’ll see what happens if the application is accepted and a public hearing scheduled. 4. 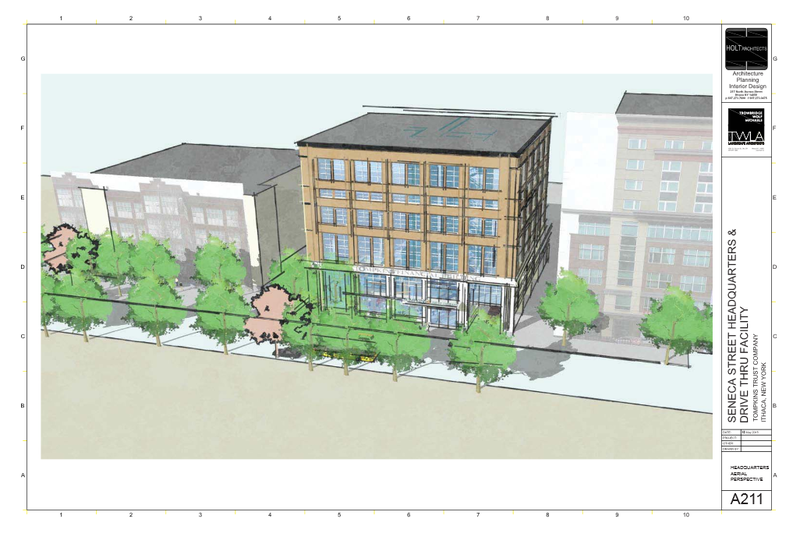 From the city Planning and Economic Development Committee – the Commons street-level active-use ordinance and the waterfront Temporary Mandatory Planned Unit Development (TM-PUD) were moved to go ahead to the Common Council next month. More on the Commons ordinance here, and the TM-PUD here. Committee members were favorable to an amendment to the cell phone tower fall-zone law, though perhaps not in the most ideal way for Modern Living Rentals’ 87-unit 815 South Aurora proposal. On the bright side, a draft law for circulation could be ready by April. On the not so bright side, the city’s going with the 120% value used by other municipalities – that would give the 170 ft. tower near the project site a 204 ft. no-build fall zone instead of the current 340 ft. (200%), but it’s still greater than the 180 ft. MLR requested. This means the project would probably need to be revised somewhat if that’s the version of the law that moves forward. But, something would be better than nothing. Oh, and the chicken law was voted for circulation, which opens the possibility of a council vote in April, for 20 test subjects in a pilot program. 5. 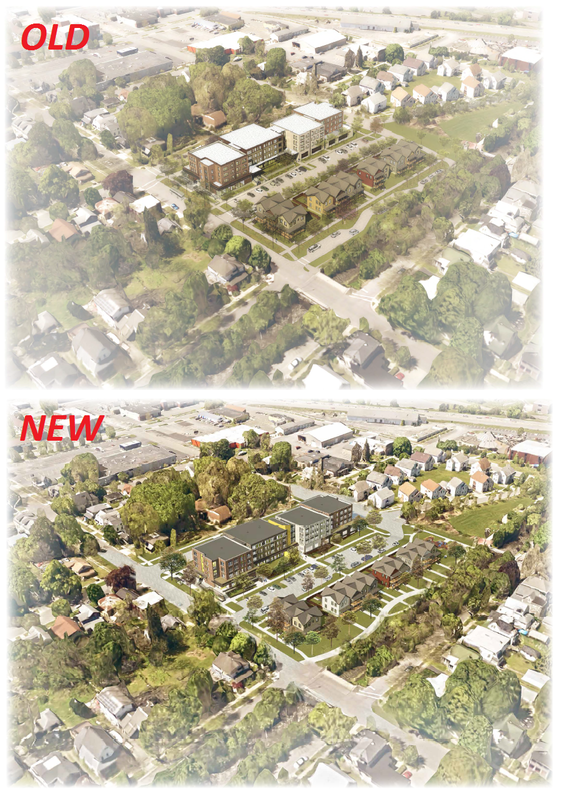 The Ithaca Urban Renewal Agency is in a bit of a dilemma. 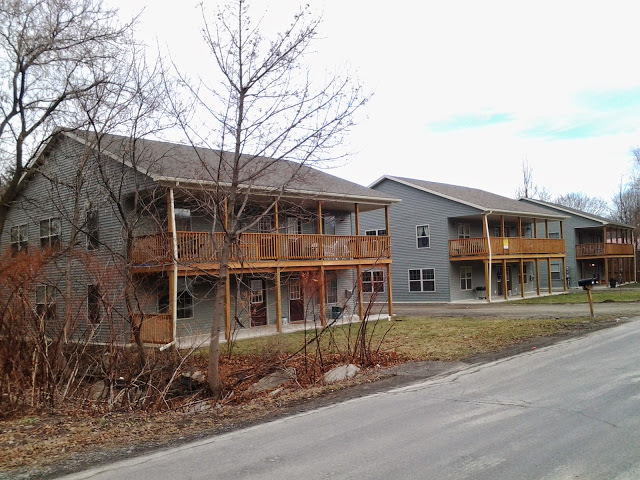 INHS’s 402 South Cayuga project, which has 4 units of affordable owner-occupied housing, is stalled. The construction costs are rapidly rising out of the range of feasibility. The only way it moves forward is if it’s a rental project, which is easier to finance. Ostensibly, the IURA would like owner-occupied housing. And a rival proposal has been offered by local architect Zac Boggs and his partner, former Planning Board member Isabel Fernández. It would offer four rentals for 2 to 5 years, and then go up for sale – in the $180-$230k range, which is somewhat more than the $110-$130k range typically offered by INHS. So what do you do? Sacrifice some affordability for some home ownership, or vice-versa? The IURA needs to figure that out. Additional renders and cover letter here. 6. I think this is the ninth iteration of the Canopy hotel; quite possibly the most version of a single project I have on file. What’s changed since last time? Well, the inset panels in the northwest wall are back. 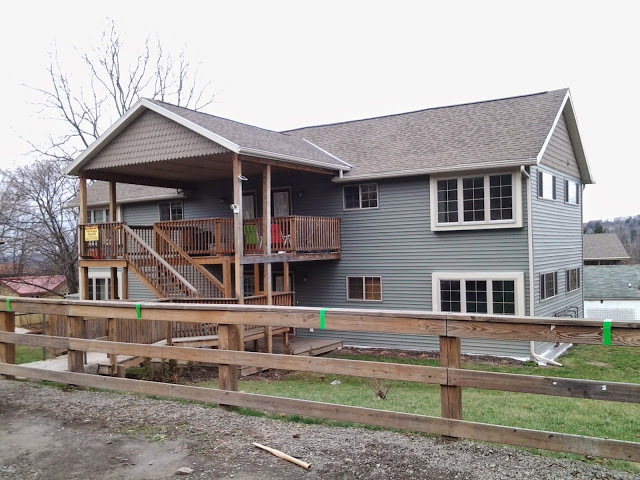 Some cast stone was added to the base, the second floor rood deck was tweaked, a cornice element was added to the mechanical screen, and the trellis and driveway pavers were revised. It looks like an improvement, and hopefully one that Baywood Hotels can bring to reality after being stuck in finance limbo for so long. Additional imagery here, cover letter from local architectural consultant Catherine de Almeida here. 7. The Times’ Michael Nocella ran a really nice piece this week looking at the past, present and future of development in Varna. 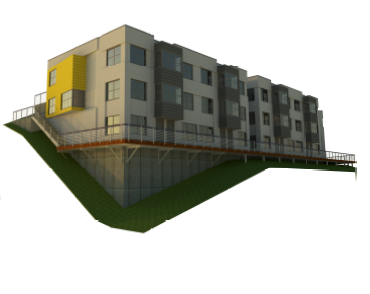 According to the article, Modern Living Rentals (my sympathies to Charlie O’Connor and Todd Fox, since all of their projects seem to be wrapped up in one debate or another) needs a unanimous vote of approval for the 8-unit, 26-bed addition to 902 Dryden Road to be able to move forward (a 6-bed duplex already exists on the property). In Dryden, the five-member town board does the vote, and the current Dryden town supervisor helped close the sale of the parcel to MLR, so he must recuse himself. Shooting it down at this point, after the project’s cut its size by 40% from 18,000 SF to 11,000 SF, would be very unfortunate, and create an uncomfortable disconnect between the Varna Master Plan designed with community input, and what the board thinks Varna should have. As mentioned in the article, the northeast corner of Rt. 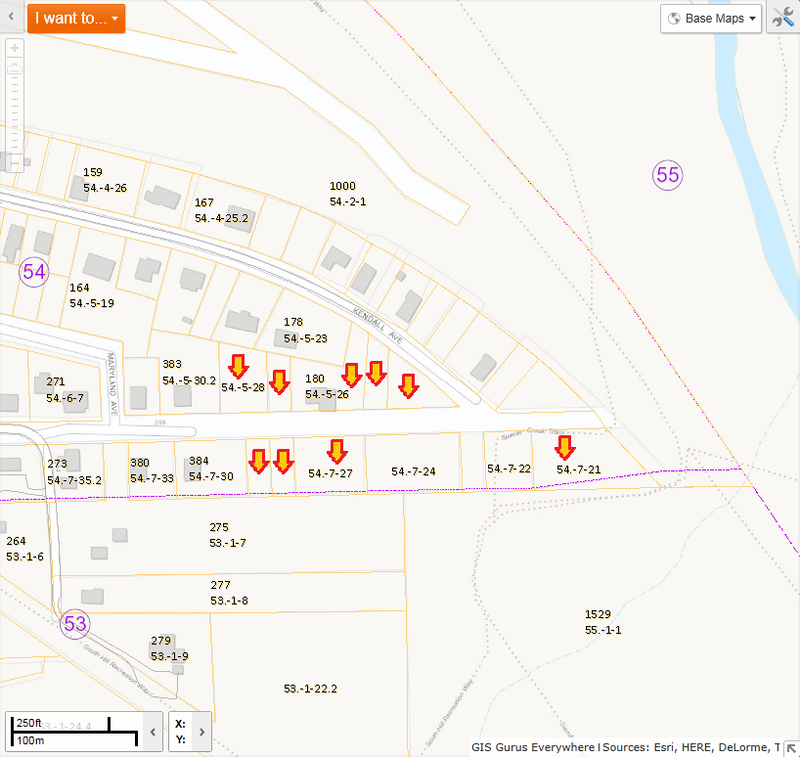 366 and Freese Road is one of those parcels where the town and Varna residents think development should happen, but really isn’t feasible. I remember when Todd Fox shared his proposal (STREAM Collaborative’s drawing above) with the town for that corner, and the reception was very positive, much more so than the owner’s earlier plan for 20 modular townhomes. Then not long after, everything ground to a halt. MLR decided not to buy the parcel after it turned out the land was incredibly unstable (there used to be a huge pile of material on the site, dubbed “Mount Varna”; the story of which gets written about extensively on the Living in Dryden blog, since Simon St. Laurent and the owners had quite the feud going). The chances of anything but grass growing on that corner is pretty low. So, with the former “Mount Varna” land in mind, a master plan is not an exact thing; if it shows for three sets of five townhouses on a parcel, that’s not what may necessarily may happen. It just indicates the kind of density and scale of development the plan deems appropriate. 902 Dryden isn’t drawn on the master plan, but the plan welcomes the idea of townhouses on Forest Home Drive, which 902 abuts. 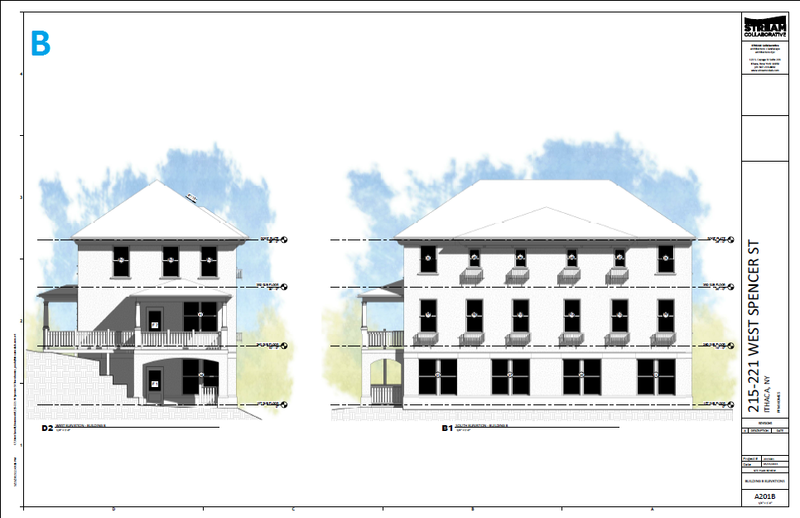 So a vote in favor of the 8 new townhouses is, indirectly, a vote of support in the Varna Master Plan. 8. 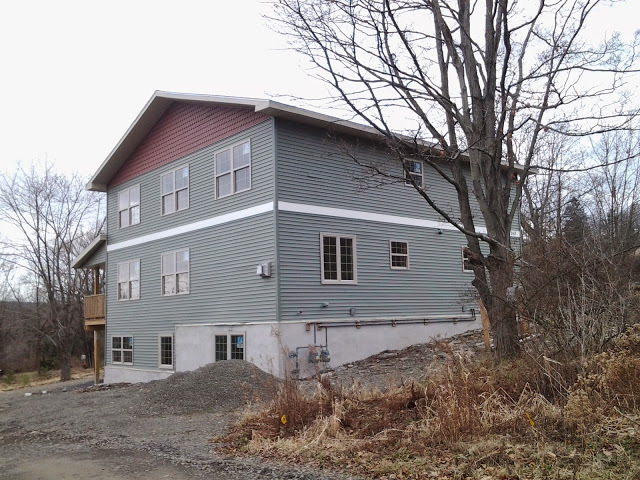 The town of Ithaca’s Planning Committee will be looking into writing up and establishing a moratorium on all 2-unit residential buildings at its meeting next week. Doesn’t specify location, or rental vs. owner-occupied; just a ban on buildings with two units. On the one hand, this is probably an attempt to curb student housing being built near IC; the town’s Planning Committee chair is someone with a long history of fighting development, and is seeking greater input on the Planning Board’s discussions. Students and student-amenable housing are just his favorite topics as of late. But the agenda doesn’t specify the type of unit or location, and that is very concerning. From a number of reasons, a broad-brush moratorium, without regard to neighborhood or owner occupancy, doesn’t seem like a good idea. 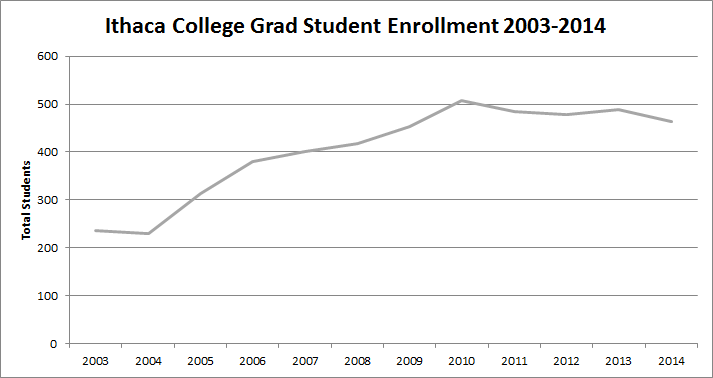 1) If the goal is to limit student housing, only a small geographic subset of the town is really necessary. IC students, which seem the primary cause of concern, congregate only in the neighborhood adjacent to campus. 2) The moratorium could harm affordable home-ownership. In a number of cases, one unit is occupied by the owner, and the other is rented out as a source of income. 3) Limiting new supply keeps housing costs high and pressures them to rise higher, since demand will not be altered by the moratorium. 4) The town only permits a small number of units each year. In 2014, it was 10 single-family and 2 2-unit properties (so, 14 units total). In 2013, it was 25 single-family, 10 2-unit. The preliminary 2015 numbers are 21 single-family, and 3 2-unit. There were no permits for structures with 3 units or more. I asked Ithaca town planner Dan Tasman, and while his email notes that it’s targeted at student rentals, it doesn’t assuage my concerns of being too broad of an execution. “The Town’s zoning code allows accessory apartments in some zones. The intent is to let a resident have a close family member or friend live with them, or a tenant to help pay the mortgage, in a space that’s more private. Basically, an in-law apartment. However, a few builders are taking advantage of the privilege. 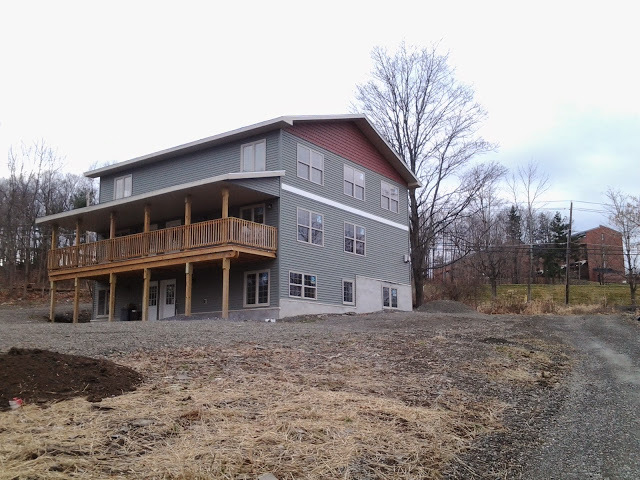 They’ll build a house with an accessory apartment, and rent out both units, with student tenants in mind. I’m not a proponent of moratoriums at all, but I’m hopeful this proposal isn’t as broad as it looks. If the net is cast too wide, this is going to do a lot more harm than good. 1. I’m thinking there is a genuine lull in the pipeline at the moment. The city’s projects memo, which is the document that city departments receive and comment on before the actual Planning Board meeting, doesn’t have much for consideration for this upcoming month. The one projects that is being “newly” considered is the 12-unit, 26-bedroom PPM Homes proposal at 215-221 W. Spencer Street. That project is expected to receive declaration of lead agency (in other words, the planning board formally agrees to review it) at the June meeting. Being carried over from the previous months are the two duplexes for 804 E. State Street, the Tompkins Financial HQ, INHS’s 210 Hancock project and the Maguire Fiat/Chrysler expansion. None of those are up for final approval. Smaller projects and subdivisions will often first show up in the memo ahead of the meeting, but not this month. What will be, will be. 2. 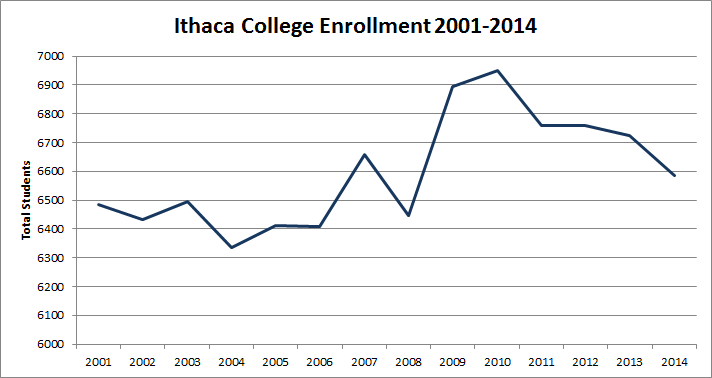 On the other end of the scale, this looks to be a busy month for the Ithaca Landmarks Preservation Council. Most of their agenda focuses on window repairs and other minor details, but they will be reviewing the Tompkins Financial HQ and the new drive-thru across the street. Although neither is within a historic district, I suppose it’s being reviewed for the sake of feedback and the possibility of a visual impact on the skyline as seen from historic districts. 3. In Old Library news, a decision was expected last Tuesday…but, the decision was postponed. After committee members started sharing their differences in opinion. Pardon my cynicism, but that’s a perfect microcosm of those whole process. Frequently delayed and bound to infuriate someone come decision time. In a perfect world, all three of those would be built in the city, because they all address different housing needs in Ithaca, and they would all likely be successful. But of course, there can only be one. We’ll find out next Tuesday morning. 4. 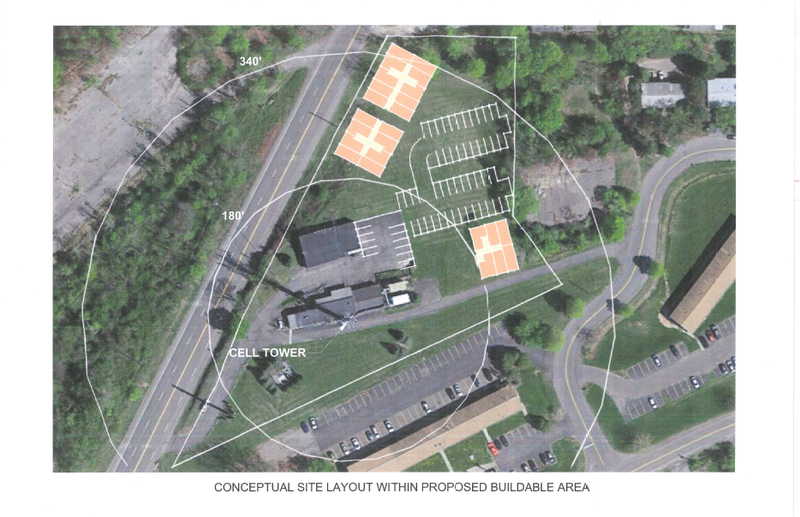 The Ithaca town Planning Committee is verifying two things already noted in previous news round-ups. 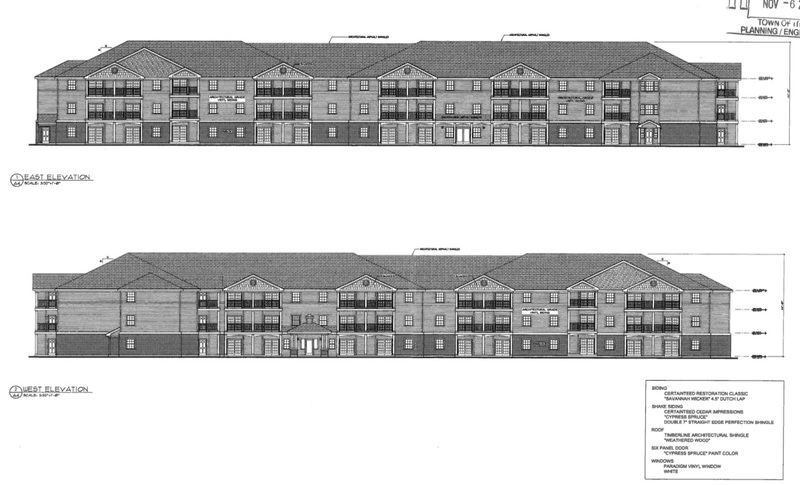 One, the 68-unit Cayuga Meadows project hopes to begin construction in the very near future, and two, the Troy Road housing project is dead. The committee also brought up the possibility of a moratorium for certain parts of town – two areas described as having significant student populations. 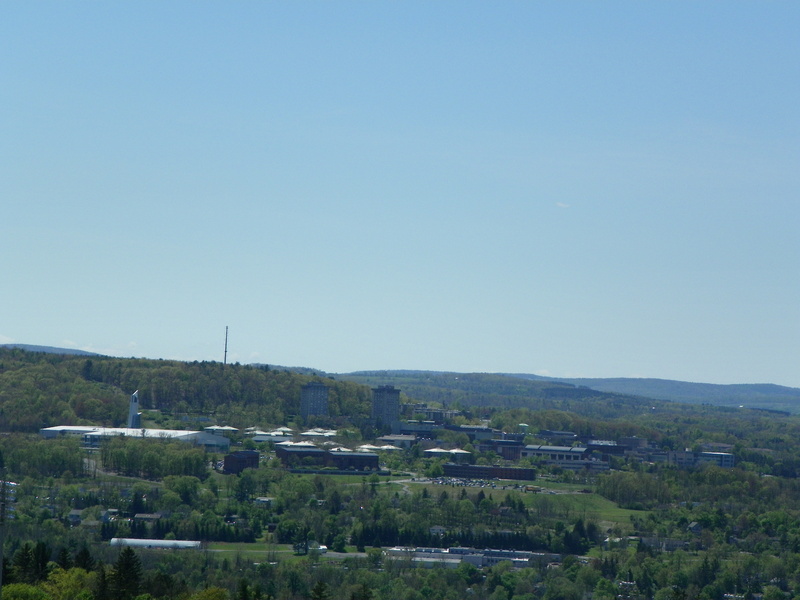 One is almost certainly the area of South Hill next to IC, the other is not stated (but likely has to do with Cornell). This is part of a larger conversation to keep IC students from living off-campus in student rentals. Students aren’t a protected class, so whatever extra bureaucracy or laws the town wants to adopt are technically fair game. 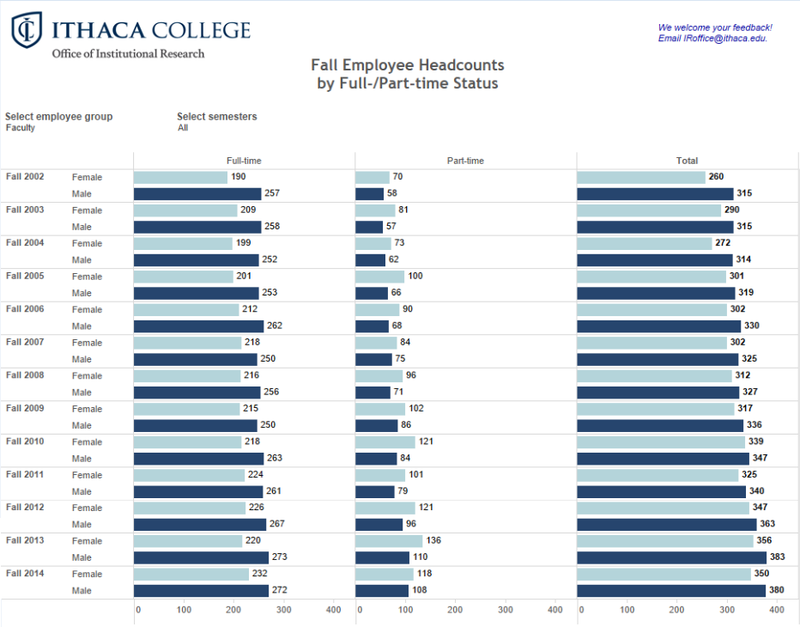 I would imagine, however, it would much easier to do that to IC’s undergrads than the professional and doctoral students attending Cornell. 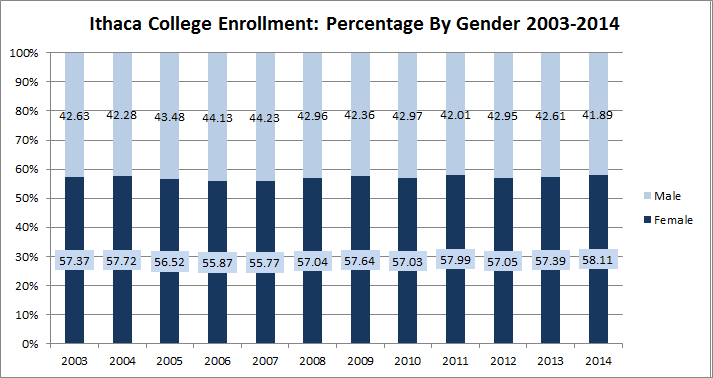 Looking at the numbers, one has been increasing much more than the other, and it’s not the undergrads. This, I suspect, is where potential laws become problematic. Anyway, the moratorium is seen as a last-ditch effort. But the possibility of it should be enough to raise eyebrows. 5. 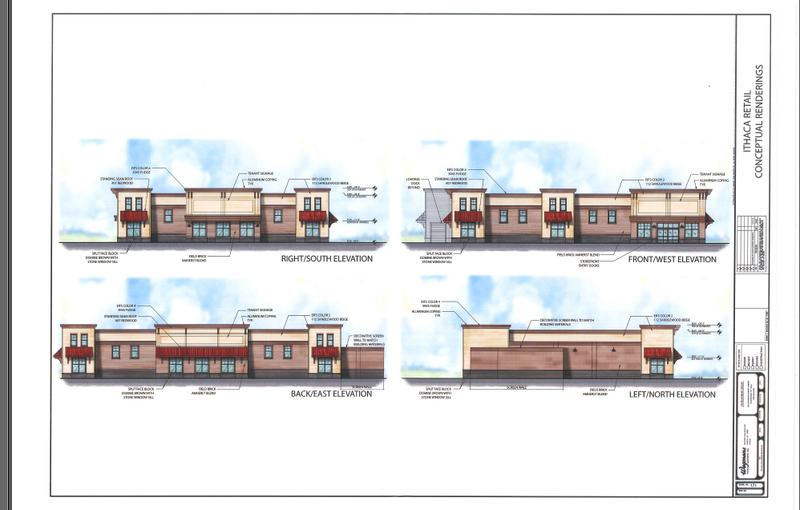 Time for some more unhappy – the city Board of Zoning Appeals isn’t touching the 815 South Aurora Street application. To recapitulate the salient details, local developer Todd Fox would like to build apartments on the land but can’t because the vast majority of the property is within the “fall zone” of a cell tower, which the city defines as twice the height of the tower. At 815 South Aurora, a 170′ tower creates a 340′ radius of no-man’s land (outer circle above), making the parcel virtually undevelopable. Fox had two private engineering companies (TAITEM Engineering and Spec Consulting) analysis the case and they determined that an appropriate fall zone is the height of the tower plus 10 feet for a little wind/bounce – so 180′ total. With this info in hand, Fox is trying to get the city to refine the zoning to allow the decrease in fall zone and therefore permit the land to be open for development. The BZA said it was acting on the city attorney’s advice that the committee can’t override a council-approved law. Which means that Noah Demarest, the architect appearing on behalf of Todd Fox, will either have to go to the Council to have the law amended, or he and Fox will have to go through a full sketch plan and review process, and apply for an area variance for whatever firm plans they have proposed. Meeting with the BZA was seen as way to avoid having to shell out all that time and money and risk still being rejected because of the cell tower issue. There’s a risk with moving forward at this point, and it’ll depend on just how much risk the developer is willing to take on this potential project. 6. We’ll wrap up with something positive – FormIthaca, the citizen group advocating for form-based zoning, is doing their design charettes this week. 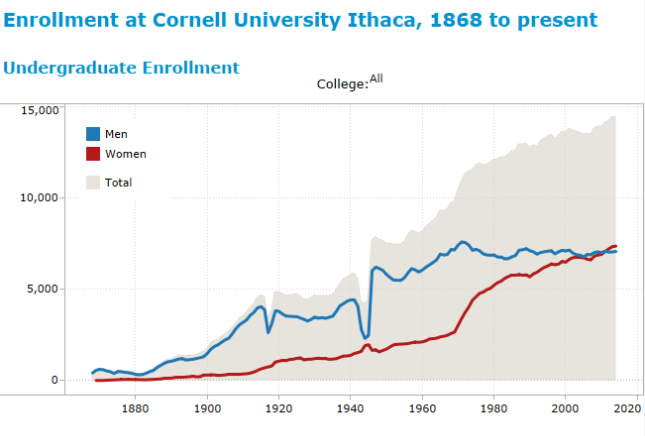 I’m writing this on Thursday night since I will be doing 5-year Cornell reunion stuff on Friday, but I do plan on being in attendance Friday afternoon meeting and am looking forward to seeing/hearing what ideas the presenters have to share. I can assure a certain town of Ithaca board member that I have a personal preference to small street setbacks, and it sure as hell isn’t because they’re “hipper”.